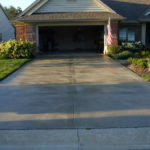 Edmonton Paving | Residential, Industrial & Commercial > Blog > Concrete Services > How to secure your parking lot driveway? How to secure your parking lot driveway? 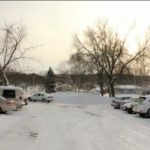 If you currently have a parking lot driveway or are planning to get one installed for your mall, office, supermarket, hospital or any commercial purpose, you should know about maintaining your parking lot. Driveways with cracks and potholes look untidy and can cause inconvenience for your customers or clients, which can create a negative image for your business as well. To avoid any inconvenience, you need to secure your parking lot driveway by following these tips. 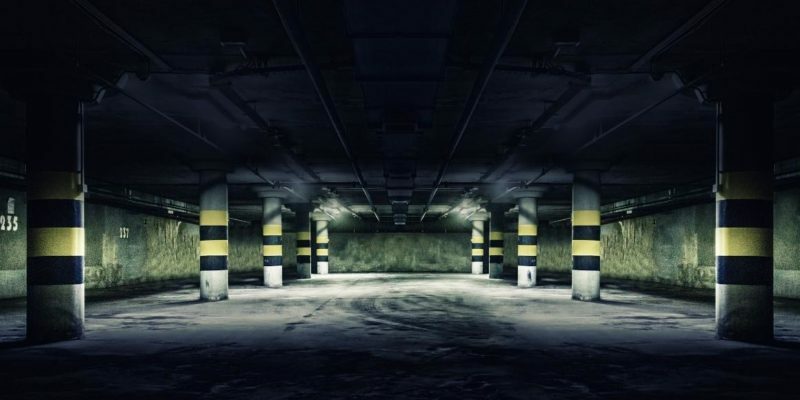 Your parking lot can be stained with motor oil, radiator fluid, and similar substances. Motor fluids can penetrate up to a quarter inch in concrete and can also soften an asphalt driveway. Therefore, to prevent damages to your parking lot driveways, clean them by using non-clumping kitty litter to absorb fresh oil, and then using grease-cutting dishwashing detergent and warm water to clean the stains. Scrub the stain repeatedly with grease-cutting, biodegradable cleaners to clean older stains. Use a regular scrub brush for this purpose, a wire brush will only damage the driveway surface. Water entering through cracks in the surface of the driveway widens the cracks. Therefore, sealcoat the asphalt every few years to prevent water from penetrating your driveway, and cracking it. Patch all the potholes immediately. To remove loose material and debris, use a masonry chisel and then apply a crack filler and patching compound. Seal the entire driveway after the compound dries. Chemical de-icers and cement salts can be used to prevent the collection of snow and ice on your driveway. But these substances penetrate your driveway’s surface leading to cracks. Use alternatives like sand, coffee grounds, and alfalfa meal instead. Use a snowblower or a shovel to remove the snow from your driveway. Spraying the surface of your driveway with sugar beet juice can also help you melt the ice quickly. Raise the blade of your snow plow to prevent scraping and damaging the surface of your driveway. If you are using a shovel, use a plastic shovel for uneven surfaces to reduce its risk of catching on the driveway. To effectively eliminate the snow, push snow to the side and shovel it off or remove snow a few inches at a time while working your way downward. Maintaining and securing your parking lot driveway will not only increase its life but also save you a lot of money for repairs. If you need help in maintaining, repairing, building a driveway or want to gather more knowledge about residential driveway paving, contact a company that provides parking lot maintenance services. How to acid stain concrete? 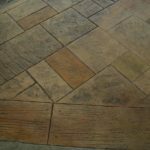 Why Is Decorative Concrete A Good Idea?